When the sun in burning down and your kids have a lot of excess energy to burn off, a cool kids pool in your garden is a handy solution to keeping the little munchkins entertained, in motion, and cooled off. Depending on your children’s ages, interests, abilities, and needs, as well as available space and the amount of money you’re willing to invest, your individual requirements for the perfect kiddy pool may differ vastly. The good news is, that there is a good choice for any budget and space out there! The even better news is, that we have collected the coolest kids pools in a wide range of sizes and prices for your convenience below. Our list touches upon anything from very basic to incredibly elaborate and from toddler-specific to fun-for-the-whole-family. What does spell out “summer” better than a deep-red strawberry?! 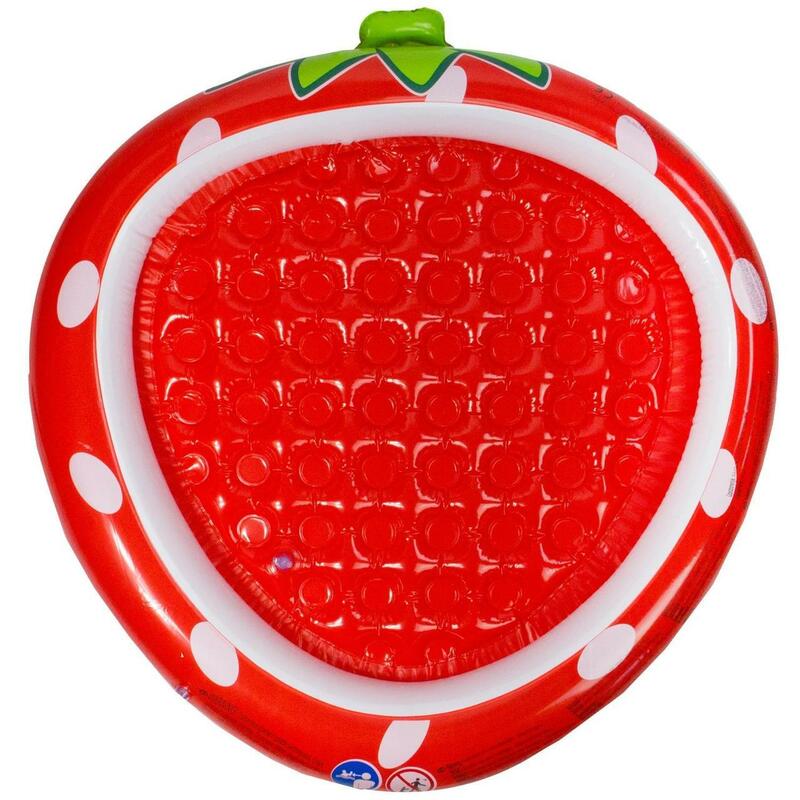 This cute 37” inflatable kid’s pool is best suited for kids aged 1 to 3 years. The inflatable bottom adds comfort and allows for long, comfortable paddling and playing around. Your kids love taking a shower? Then this lovely whale-shaped pool with integrated fountain is just perfect for you! Additionally to providing a cool drizzle from above, the whale’s tail also gives a bit of shade to play in for your little one. 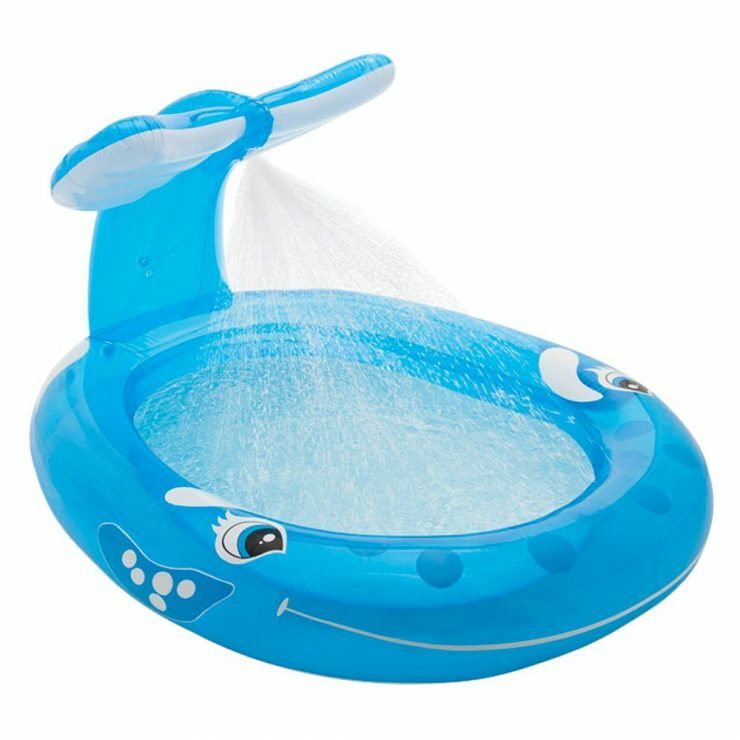 This pool is best suited for children aged 3 and up, and contains roughly 55 gallons of water, is quick to inflate, and the tail fin connects easily to your garden hose. Your children love nothing better than playing around in the water for hours, but you’re worried about them being out in the sun for so long? Then this shaded kiddie pool by Intex is a perfect compromise! The inflatable sun screen is easily removable. The rectangular paddle pool holds about 74 gallons of water and is recommended for children aged 2 and up (though an average sized adult will be able to comfortable submerge fully if stretched out)! There’s nothing more fun than a waterslide, right? With this slippery kiddy pool by Little Tykes your children’s desire for fun, entertainment and action will not only be met, but exceeded! The pool comfortably holds up to three children, is made out of a puncture resistant material, and boosts a good-sized splash pool area alongside the climbing wall and curved slide. 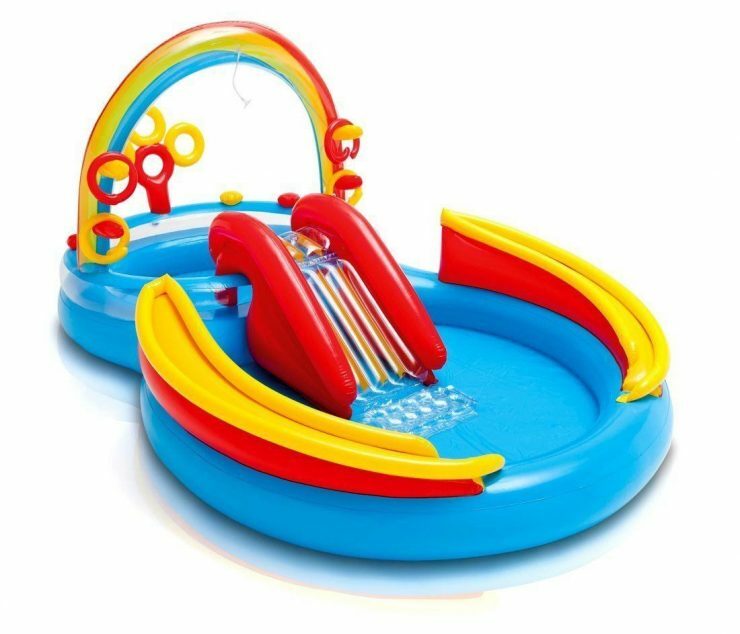 Kids aged 2 and up love the rainbow ring pool by Intex! The play center includes two wading pools, a fun slide, a cool water sprayer, and a ring toss game (with 4 inflatable rings) for long lasting entertainment. The pool holds approximately 77 gallons of water and comes with a size of 117″ x 76″ x 53″. The brightly coloured dinosaur play center by Intex really holds what the name promises. With the integrated slide, a palm tree shower, a waterfall, and a “hungry” dinosaur that just waits to be “fed” with the 6 included fin balls, your children will be thoroughly entertained and can come up with a wealth of adventures they embark on. 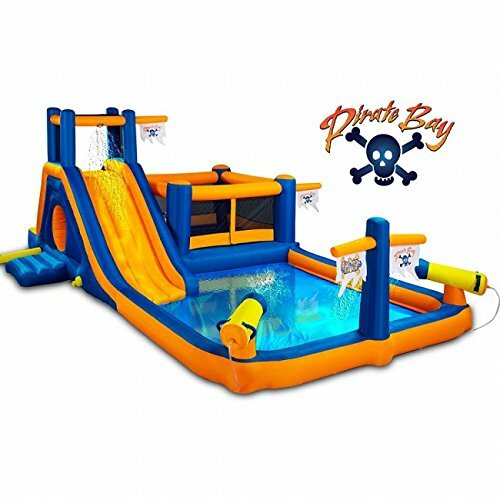 Blast Zone’s Pirate Bay water park is the most fun you can buy for your garden. The adventure playground slash kiddie pool needs a lot of space (20′ x 12′ x 8′) and isn’t cheap by any stretch of the imagination, but it is definitely worth every cent! Once inflated with the included blower, your kids can scale the climbing wall, zip down the slide, burn excess energy on the bouncer, investigate the crawl tunnel, or blast each other with the water cannons. Endless hours of fun are waiting for your little pirates! You have older kids that love action and don’t need or want to spend their time in the pool paddling or playing around, but still want to get cooled off and wet? 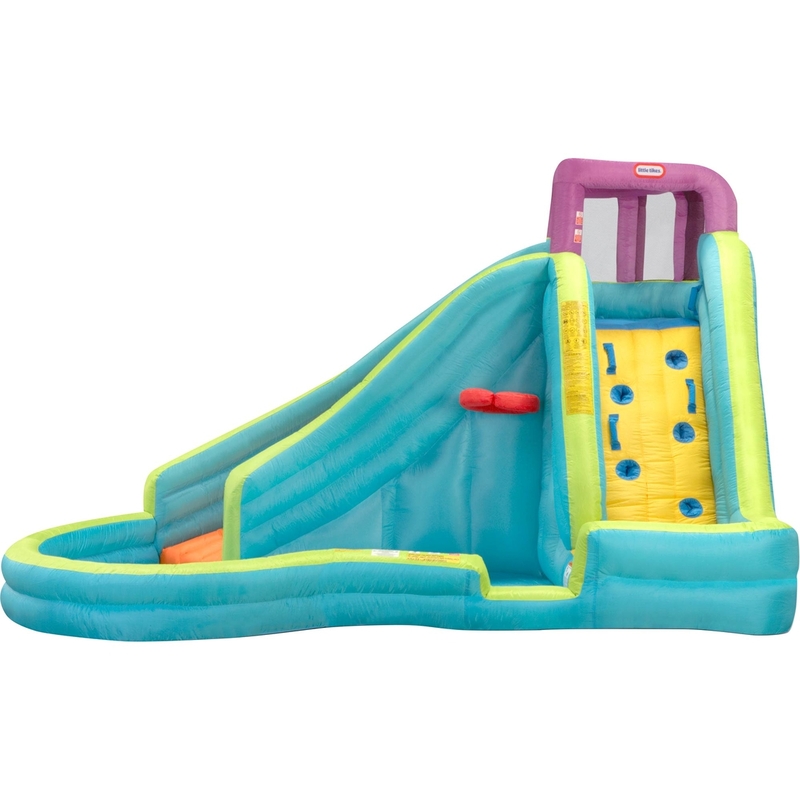 Then Banzai’s Wave Crasher water slide is a perfect solution for your family! 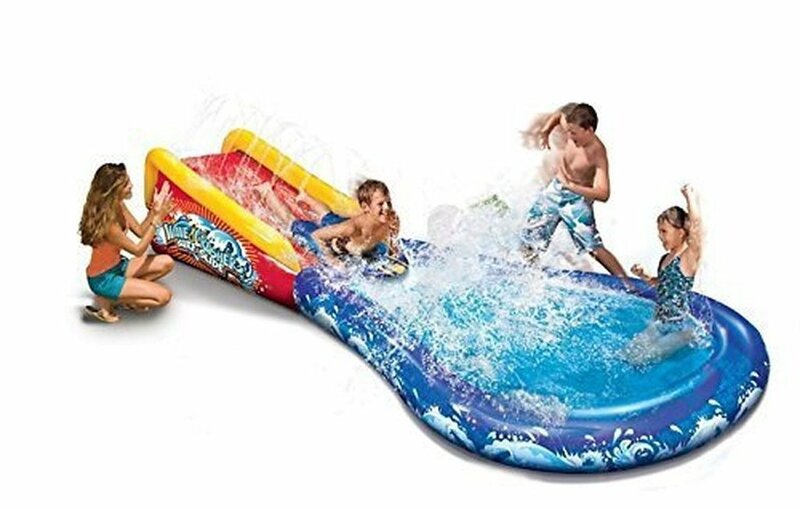 The Wave Crasher comes with a 13′ sliding ramp, a 8′ paddle pool slash landing pad, and includes an inflatable body board for additional speed and fun. 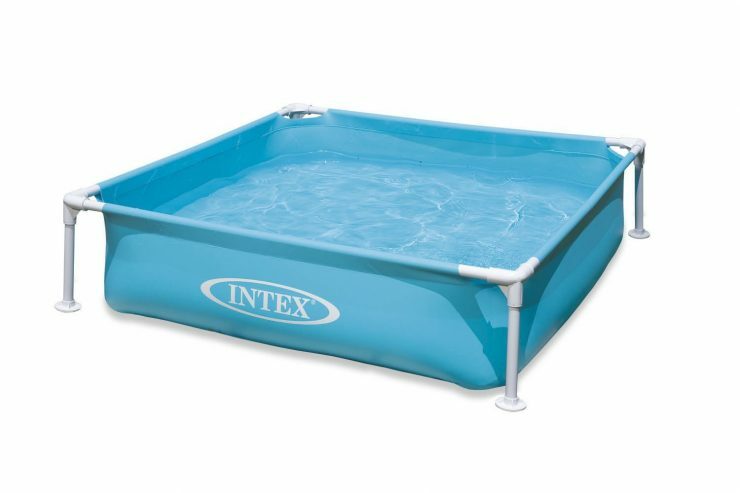 If you want a pool that gives your children the opportunity to submerge more fully than your regular paddle pool allows for, but don’t want to compromise on simplicity and ease of use, this small frame pool by Intex is your best bet. 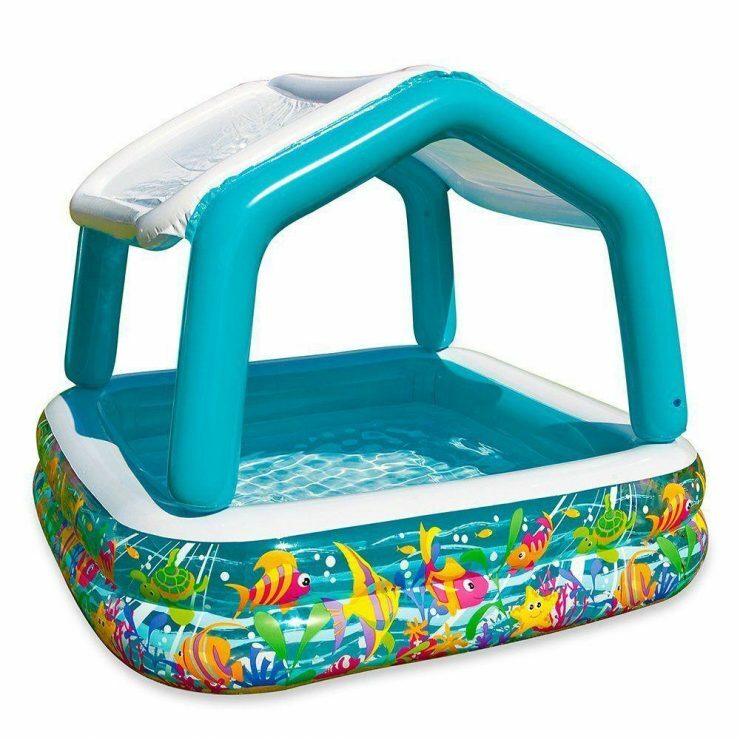 With an approximate size of 48” x 48” x 12” and a water capacity for roughly 89 gallons, this little pool is perfectly sized for children aged 3 and up, and will provide your offspring with hours of fun and it’s big enough to fit a (seated) adult as well. The pool can be easily drained and refilled to keep the water cool and sanitary, and it also folds back easily for convenient winter storage. 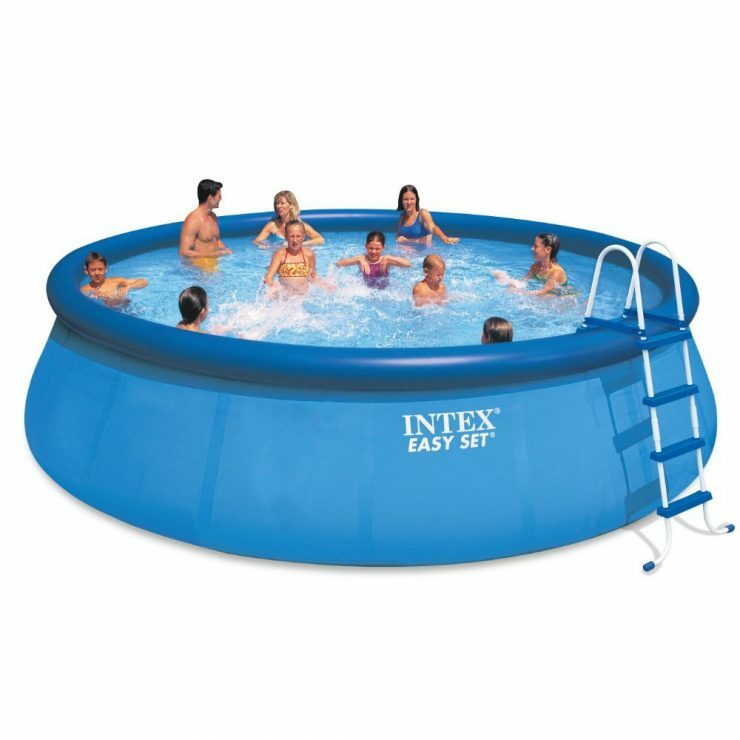 And finally, Intex’s Easy pool set is a wonderful solution for families who are looking for a quick way to have a good-sized swimming pool that refreshes kids and adults alike. 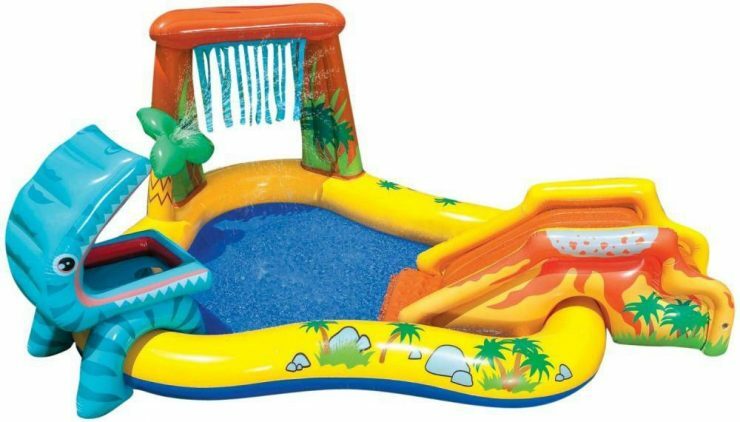 The pool is incredibly easy to erect (just find a level piece of garden, blow up the upper rim, and fill with water), comes in a wealth of different sizes and water heights, and the set also includes necessities like filter pump and ladder for a very reasonable price. Usually, the Easy pools withstand heavy-duty use for at least a few years, if you take care to clean and dry it thoroughly before you fold it up for storage! This set is a great investment that will delight and cool off your family for a long time! Copyright © Housessive. 2019 • All rights reserved.